A federally funded study that involved scanning more than 12,000 connections in the brains of 238 volunteers ages 7 to 30 found that the technique appeared to accurately differentiate between the brains of adults and children and determine roughly where individuals scored in the normal trajectory of brain development. While much more work is needed to validate and refine the test, the technique could have a host of uses, including providing another way to make sure children’s brains are developing properly, in the same way doctors routinely measure other developmental milestones. The scan could, for example, identify children who might be at risk for autism, schizophrenia and other problems because their brains are not maturing normally. But the test might be open to premature use or abuse, experts warn. Will overly anxious or competitive parents demand that their children be tested to see how they score compared with their peers? Or to help them decide whether children are mature enough, for example, to leave home for college? Will online dating services offer brain scans rating the maturity of potential mates? Will defense lawyers try to use scans to prove their young clients aren’t mature enough to be tried as adults? Or will prosecutors cite the scans to prove the opposite? Lawyers have already attempted to use other types of brain scans as high-tech lie-detector tests, even though scientists say the scans are far from ready. Fins and other experts noted that the public has a tendency to oversimplify and exaggerate the power of brain scans. Factors such as upbringing and other environmental influences remain important, several experts noted. The technique developed by Dosenbach and his colleagues uses magnetic resonance imaging, already commonly used to measure activity in the brain by correlating increases and decreases in blood flow to various brain regions. The scans are considered safe because they do not use radiation. In this case, the technique was called functional connectivity magnetic resonance imaging, or fcMRI, because it measured connections in the resting brains of the subjects. 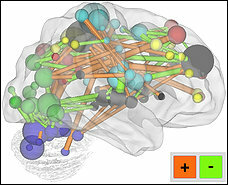 The researchers used a computer program to analyze how connections in the brain changed as the mind matured, pinpointing 200 to produce an index of maturity. They found that close connection weakened while distant connections strengthened as the brain matures, until about age 21 or 22. “I would not endorse that,” he said. Teenagers lie and apparently they lie a lot more than even I realized – even after raising three of them! The story in the beginning of the chapter is a little unsettling though I think supports the notion that many teens are giving adults the impression that they are on a good path when in fact they are just ‘doing school’ (a term I’m borrowing from Denise Clarke Pope) and on The Race to Nowhere. In one study 96% of teens reported lying to their parents. The reason? The most common reason was,”To protect the relationship with my parents – I don’t want them to be disappointed in me”. I see this as good news. It reinforces what other researchers have said – that for teens the relationship with their parent is the most important relationship in their life. This is a really great point to remember when you have a rebellious teen who is pushing every boundary you try to set. I always kept my eye on the prize, so to speak – and did my best to maintain a good relationship with my children. Sometimes it meant a lot of compromising, but in the end, really all that mattered was that relationship. I’m bored – if only I had a dime for every time I heard that phrase. According to the authors the more controlling and enabling the parent the more likely the child is to experience boredom. I had the exception to that rule. We did not fill our son’s free time – because he rejected structure. But he also didn’t like down time. So he’d finish with one activity and want to jump to another right away. Tired of constantly hearing “I’m bored” we tried a little humor, “It’s nice to meet you, I’m Sally”. Wasn’t what he wanted to hear of course, but it helped me not feel like I needed to immediately come up with something else to fill his free time. Teens are risk takers. We all know that either from parenting teens or being risk takers ourselves (guilty). Researchers in PA came up with a program called TimeWise to help teens understand risk, peer pressure and essentially be ‘architects of their own experience’. Initially it looked like a great program, but over time the class did not have a huge impact. And the reason has to do with the teenage brain. Some teens are just wired to take big risks. More specifically the teen brain is handicapped in it’s ability to gauge risk and foresee consequences. Another interesting tidbit – teens can think abstractly but not feel abstractly until they have had more life experience to draw on. So, what’s a parent to do? Create opportunities for safe risk taking – skateboarding, skiing and snow boarding, dirt biking, jumping on a trampoline, climbing walls, mountain biking, white water rafting – none without risks but it sure beats joy riding in a car with a brain that feeds on big doses of the thrill factorl!! The last part of the chapter goes back to discussing lying and arguing. Those families where there was less deception had a much higher amount of arguing. Arguing was seen as good thing for the teens, not so much for the parents. Arguing wears us out – I know this first hand. I wanted to encourage negotiation, partly because I didn’t have that opportunity in my family of origin. But it’s a delicate balance knowing when to continue the argument/negotiation and when to zip it and stop engaging with your teen. I absolutely agree that parents need to let their teen feel heard – even if you totally disagree. They need to practice on someone and a parent seems like the safest place to do that. The authors barely touched on listening. I think listening in this culture is one of our biggest challenges. In fact we only listen for an average of 17 seconds before wanting to jump in with a comment. The most important lesson I have learned (and am still learning) as a parent of three teenagers is that listening, and truly being present while you are listening, is one of greatest gifts you can give your children. What were your teen years like? How has that experience informed your parenting? Next Week: Can Self-Control be Taught? I found this recipe today – I haven’t tried it, but I’m putting it out there for all you chocolate lovers. Enjoy! Position rack in center of oven and preheat to 350°F. Line 9×9×2-inch metal baking pan with foil, leaving overhang. Spray foil with nonstick vegetable oil spray. Combine 6 ounces bittersweet chocolate and butter in medium metal bowl. Set bowl over saucepan of simmering water and stir until chocolate and butter are melted and smooth. Remove bowl from over water and cool chocolate mixture until lukewarm, 5 to 10 minutes. The author recommends a sprinkle of sea salt for glamour and extra flavor.